Our August 2016 bird in the 12 Months of Birding series here on the Inn on Mill Creek blog is a terrific warbler, the Common Yellowthroat. This bright and cheery songbird arrives in springtime to the mountains of western North Carolina and remains in our neck of the woods throughout the summer months. As you can see from the photo above, the male Common Yellowthroat has, yes, a yellow throat. The female does, too, and they both have olive green coloring as well. The males have the added Zorro mask, however, which we think is an awesome feature on a bird. How can you not love a bird with a Zorro mask? 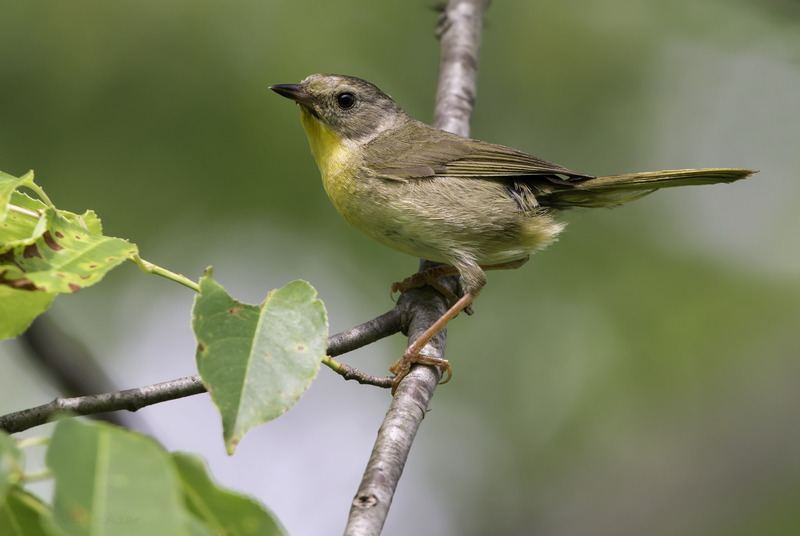 Preferring thickets and tangled brush near open areas, especially around marshes or water, we recommend looking for the Common Yellowthroat in the low tangle of shrubs on the southern end of our property near the pond. According to eBird, they’ve also been spotted between May and August at Biltmore Estate in Asheville (which has two rivers on the property as well as a nice lagoon bordered by brush near open fields), at the Black Mountain Recreational Park, which has a nearby bird sanctuary/habitat, and at Charles D. Owen Park in Swannanoa west of the Inn, which is near the Swannanoa River and Warren Wilson College. 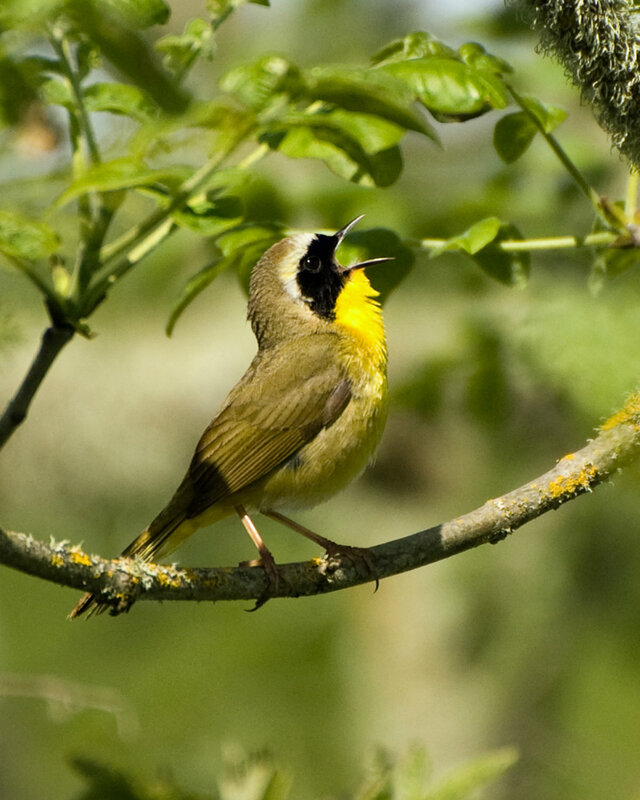 Fun fact from the Cornell Lab of Ornithology: The Common Yellowthroat was one of the first bird species to be catalogued from the New World, when a specimen from Maryland was described by Linnaeus in 1766.